Hygienists play an important part in dental health care and are mainly concerned with gum health. They show people correct home care and techniques to help keep the teeth and gums healthy. Your dentist and hygienist will advise you on the recommended frequency for your visits to the hygienist based on your personal needs and ongoing care plan. Your hygienist will provide you with a thorough clean in which plaque, calculus and tarter will be removed with a comprehensive scaling and polishing undertaken. This will help prevent you from getting lasting damage done to your teeth and improve your overall oral hygiene. 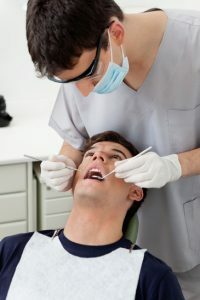 The hygienist will also give you advice on the best way to clean your teeth and point out where your cleaning may not be comprehensive enough. Another service the hygienist provides is cosmetic stain removal, removing stain that has built up over time through a person’s everyday life (including tobacco and food stain). Hygiene appointments are only available on a private basis and are a valuable accompaniment to your routine dental visits.